If there’s one word to describe Hollywood “It Girl” Tiffany Haddish, it’s positive. Her infectiously “up” vibe renders A-list actors, talk show hosts, and audiences of all stripes defenseless. In fact, it seems Haddish, 37, has laughed her way to the top. After breaking out at the box office with last year’s Girls Trip, she stars opposite her friend and mentor Kevin Hart in Night School, which hit theaters in September. She shares the small screen with Tracy Morgan in the witty, gritty TBS series The Last OG, renewed for a second season. Her first Showtime standup comedy special, She Ready, earned rave reviews. She hosted the MTV Movie & TV Awards in June. And her 2017 memoir, The Last Black Unicorn, is a headline-making bestseller. But don’t mistake this famously funny lady for an overnight success. She built a career over 2 decades of performing at family bar mitzvahs and touring comedy clubs. What makes her triumph -- and her buoyant attitude -- all the more remarkable is how she overcame a traumatic childhood, followed by a rocky young adulthood. As a teenager, she made a conscious choice to chase happiness. “People who focus on the negative all the time? You don’t bounce back from nothin’, because your focus is on the bad stuff. There’s no resilience in negativity; it’s just more pain. If I focus on positive thoughts and attitudes, then it’s least likely I’ll fail,” says Haddish. She credits this smiling determination, coupled with a fierce work ethic and years of therapy, with becoming the breakout star -- and the healthy, confident woman -- she is today. Haddish is reflective on -- and generously forgiving of -- her parents, who left her with some emotional scars. Abandoned by her father when she was 3, Haddish was raised in poverty in South Central Los Angeles by her mother, who was involved in a terrible car accident when Haddish was 9. The accident left her mom with a traumatic brain injury (TBI). Once she returned home, this previously loving parent routinely physically and emotionally abused both Haddish and her younger half-siblings. Uncontrolled and even violent outbursts can happen after someone has a TBI. According to one study posted by the National Institutes of Health, “aggression is one of the most common consequences” of TBI, and it may be “verbal and/or physical” in nature. The mistreatment went on for years. When Haddish was 12, the state intervened; she and her siblings entered foster care, and her mother was placed in an institution. Separated, the kids bounced around from home to home until her grandmother gained custody when Haddish was 15. Then, at 18, she found herself homeless after her grandmother announced she was an adult now -- and on her own. Haddish lived off and on in her Geo Metro, working odd jobs and dreaming of launching a comedy career. The comedian then gets serious with a message for her fellow African-Americans. According to the National Alliance on Mental Illness (NAMI), this group is 20% more likely to have mental health issues such as depression and anxiety due to social and economic factors. Yet despite this troubling fact, only 15% seek help from a psychologist or psychiatrist, compared with 40% of their white counterparts. “From my experience, the black community thinks [therapy is] going to hurt you, or they’ll do experiments on you, or whatever ... the black community is afraid,” Haddish says. “I’m always like: ‘Hey. You can go to a counselor and just talk. They’re not allowed to touch your body or nothin’ like that! Just have a conversation.' "
Now that Haddish is in demand, she rightly earns the big bucks -- and she’s using her financial gain for good. Overcoming old emotional wounds can be vital in improving mental and physical health in adults who’ve had adverse childhood experiences (ACE), says James Garbarino, PhD, who works with juvenile offenders with histories of childhood trauma. Both Haddish and her mother are enjoying the benefits of their renewed relationship. “Now, my mama tells me she’s proud of me,” Haddish says. “She calls and says, ‘Make sure you take your vitamin C!’ She’s trying to do motherly things. It’s really cute. And she’s learning about my life ... my sister showed her Girls Trip, and she was like, ‘Who taught Tiffany how to do that?' "
Haddish laughs at the thought with pleasure. Haddish has also had to learn how to embrace her self-worth. She innately understood how to do this professionally, demanding headlining gigs and bigger paychecks from comedy clubs and her agents as her name blew up. Now, she does it physically, too, by taking care of herself. Haddish credits years of therapy for overcoming a traumatic youth -- even if, according to NAMI, most African-Americans call a pastor or primary care doctor before a psychiatrist. William Lawson, MD, PhD, associate dean for health disparities at the Dell Medical School at the University of Texas, explains this discrepancy in care. “Stigma exists in all communities, not just the African-American community, over mental health issues. But there’s fear that comes with diagnosis” among this group, Lawson says. The U.S. has a history of medically experimenting on the black community. Also, “African-Americans with psychosis are more likely to end up in the correctional system,” he says, rather than a mental health facility. “We know early intervention works. If we intervene early, we have better long-term health outcomes,” Lawson says of mental health disorders. “While primary care physicians do incredible jobs, many of them don’t have the mental health training to properly refer patients -- and providers simply aren’t there” in predominantly black neighborhoods. “African-Americans are less likely to have private insurance,” Lawson says. And “psychiatrists often do not provide affordable services or reimbursement rates.” According to the Henry J. Kaiser Family Foundation, insurance among non-elderly African-Americans varies widely between the states, approaching 50% in Mississippi and 52% in the District of Columbia. For resources and links for your community, Lawson suggests visiting NAMI’s website at nami.org. Or contact the Association of Black Psychologists, Black Psychiatrists of America, Inc., the American Public Health Association, or the National Medical Association. 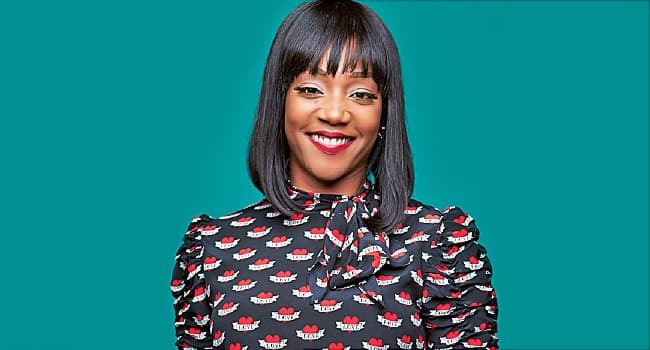 Interview, Tiffany Haddish, August 2018. James Garbarino, PhD, Maude C. Clarke Chair in Humanistic Psychology, Loyola University Chicago. William Lawson, MD, PhD, associate dean for health disparities, Dell Medical School, University of Texas.